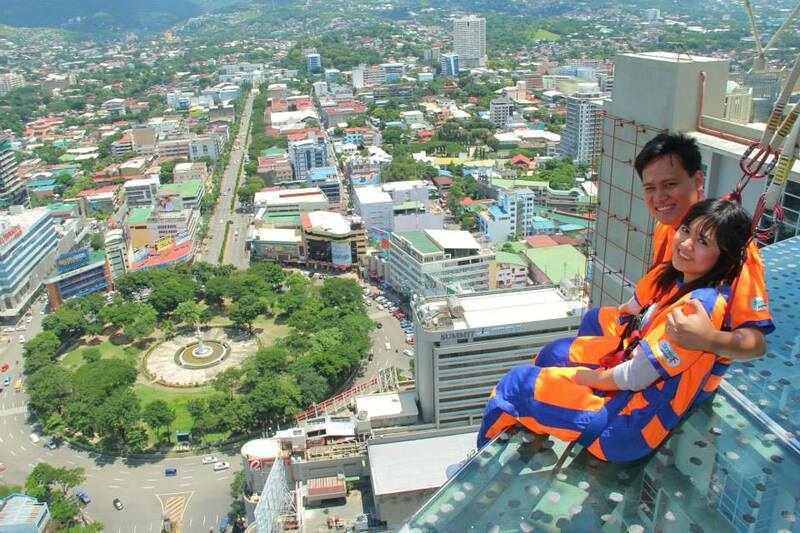 The Crown Regency Hotel is a hotel complex in Cebu City Philippines. 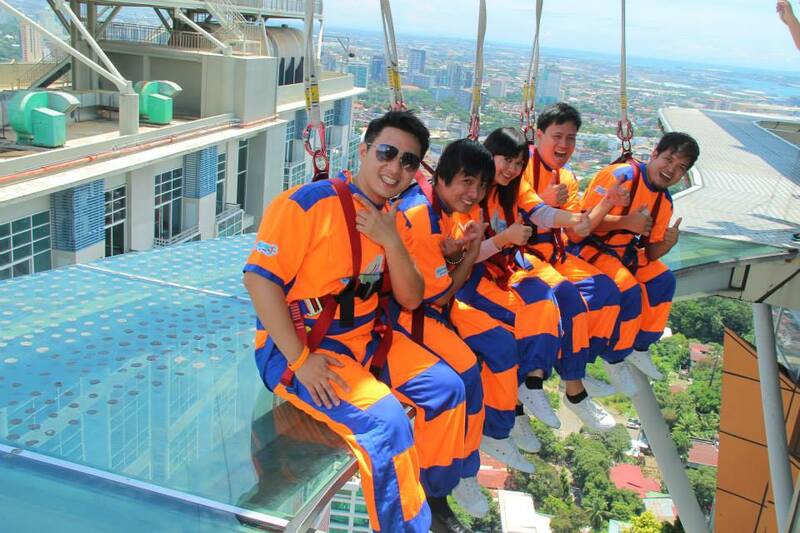 It is one of the tallest buildings outside of Manila Philippines with the main building boasting a 38 storey floors. 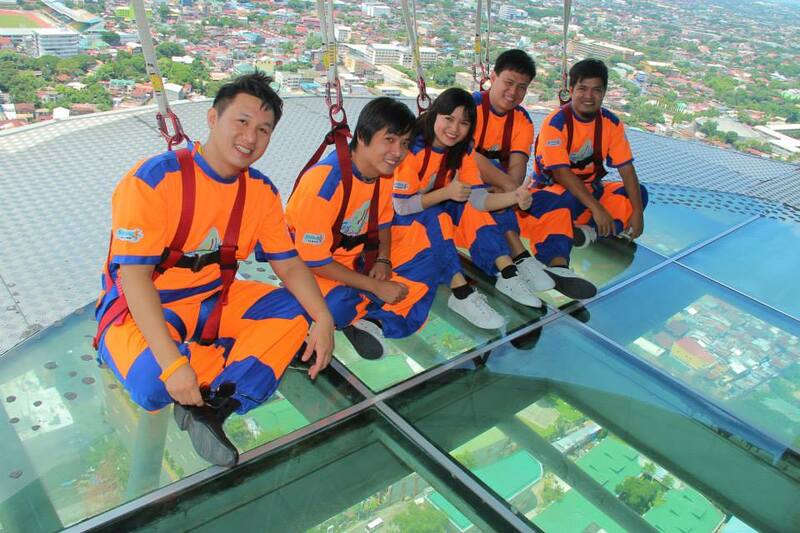 The top floors feature an amusement facility which includes a skywalk experience, edge coaster ride, a 3D movie theatre, paramount climbing, zipline and much more. Me and my friends didn't let the fun pass so we all went with excitement. From the car park we took an elevator ride to the amusement facility which is at level 37 mezzanine with a see through glass so you would be able to see the city from your point of view. It's also interesting to note that the walls of the amusement facility is made up of see through glass as well as the toilet walls so you'll get to enjoy the view everywhere when you are inside this building. Upon arriving at the top we inquired and bought the rides we wish to experience. You can check out the rides and the rates from their site. 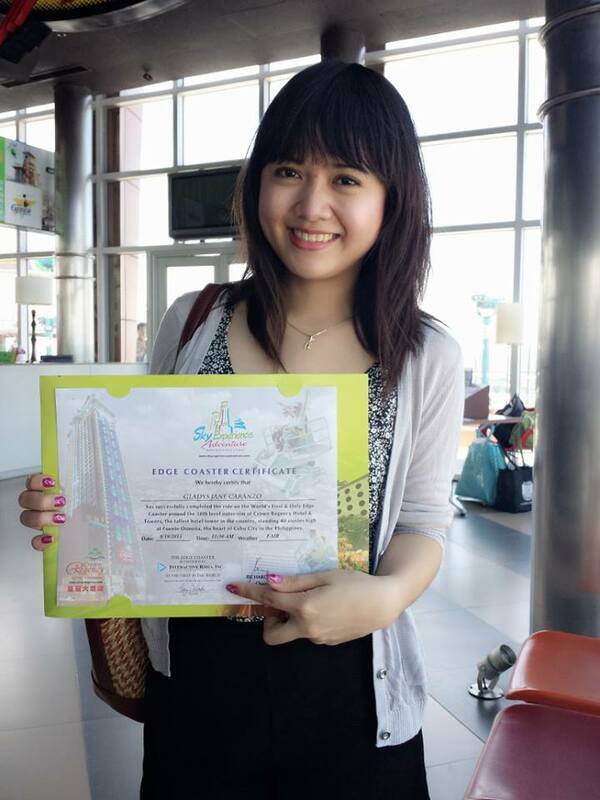 We choose Combo 2 and the ride we wish to experience which is Sky Walk Experience and Edge Coaster ride. 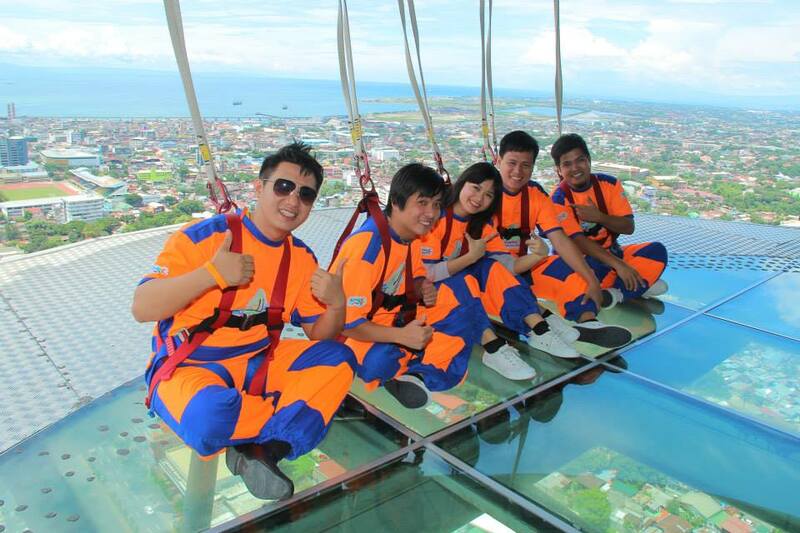 The first experience we did is the Sky Walk Extreme experience. We are not allowed to carry anything once inside the facility and that includes all your things as well as your gadgets: camera, phone and the like lest it will fall down hurting the people below. They have a locker for you to leave your things behind but its not for free. Upon entrance to the facility we are asked to change to an orange with blue accents jumpsuit and closed shoes which they will provide. But if you are already wearing closed shoes then its already good. You can also buy socks from them for PHP 20 since you will be using shoes that is for common use to the facility. 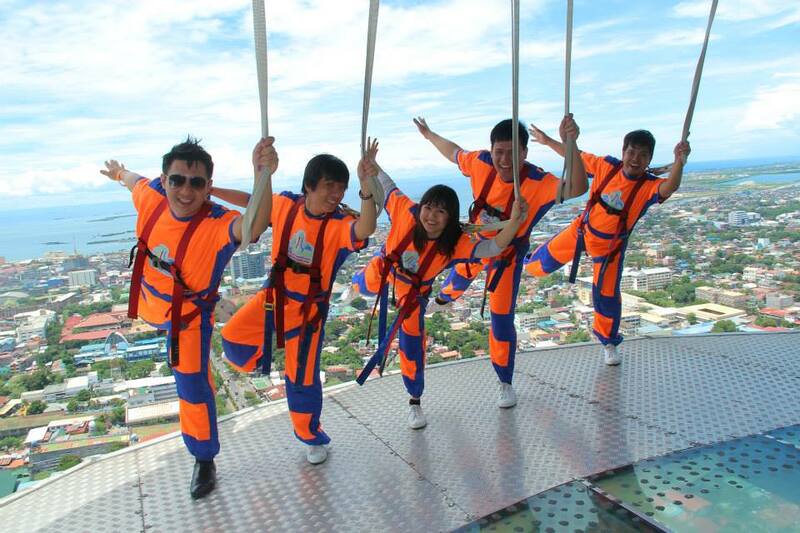 We are all excited to go outside and take the sky tour but first you have to strike a pose for the camera. 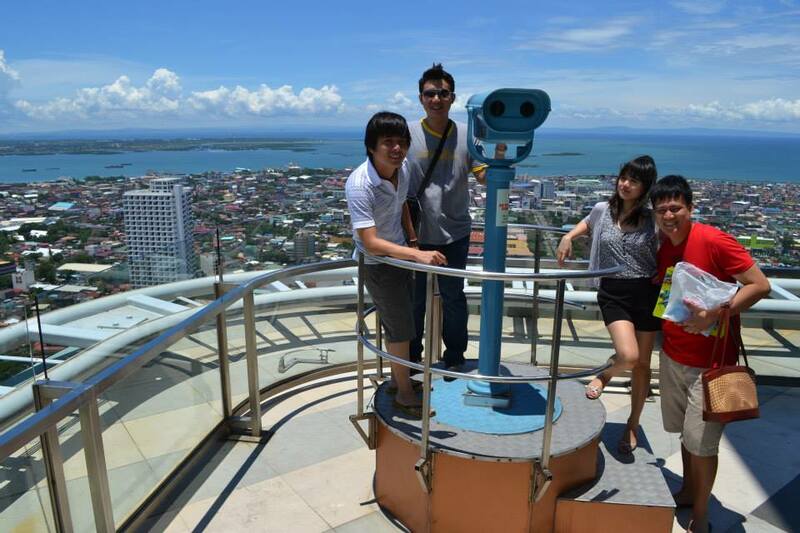 A guide will be with you to take your photos, tour you and talk about tourist worthy places to visit in Cebu City Philippines. 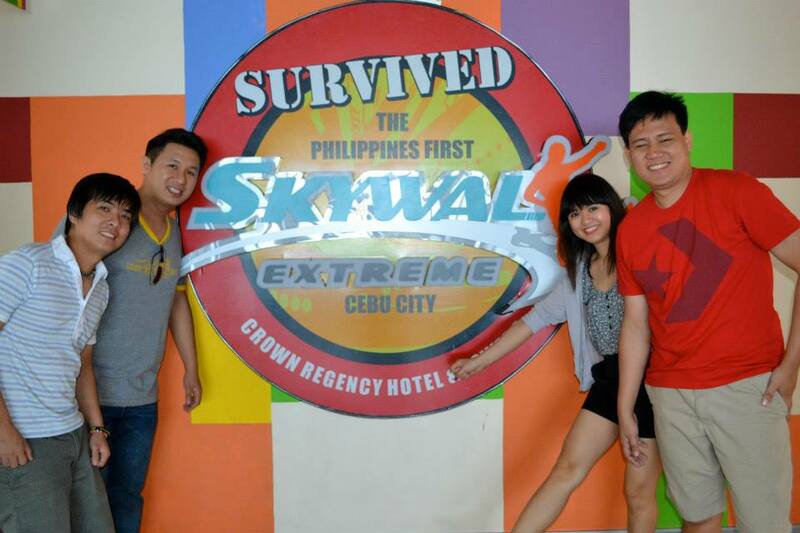 And this is me doing the famous Sky Walk Extreme pose. And so we survived! Next is the Edge Coaster Ride. By default the ride is not tilt but you can control how much you want it to be tilted. I remember wearing a strapless sandal at that time so I really tried to keep my sandals on my feet so that it won't fall. Ahaha! 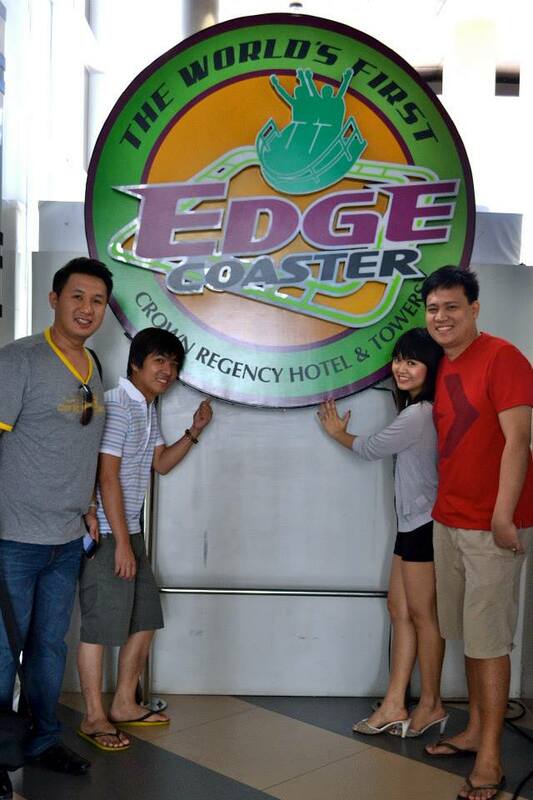 If you are not keen on riding the edge coaster you can still enjoy the facility by doing sight seeing and posing for pictures. 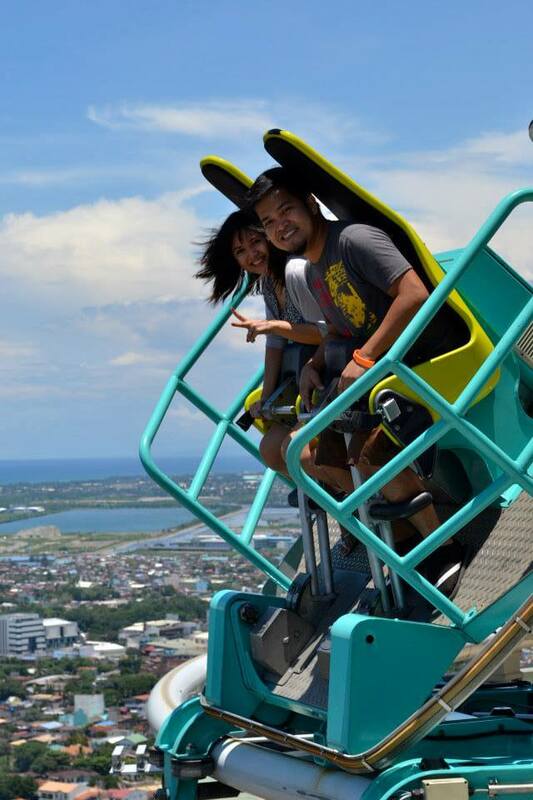 Pictures taken by the crew during the ride/s at the facility costs PHP 250 per photo. The facility will award you with certificates one for each ride for bravely undertaking the nerve wracking experience. Here's mine for the Edge Coaster ride. Me and my friends enjoyed the whole experience. We had so much fun and so next up is for the enjoyment of our stomach's as well. 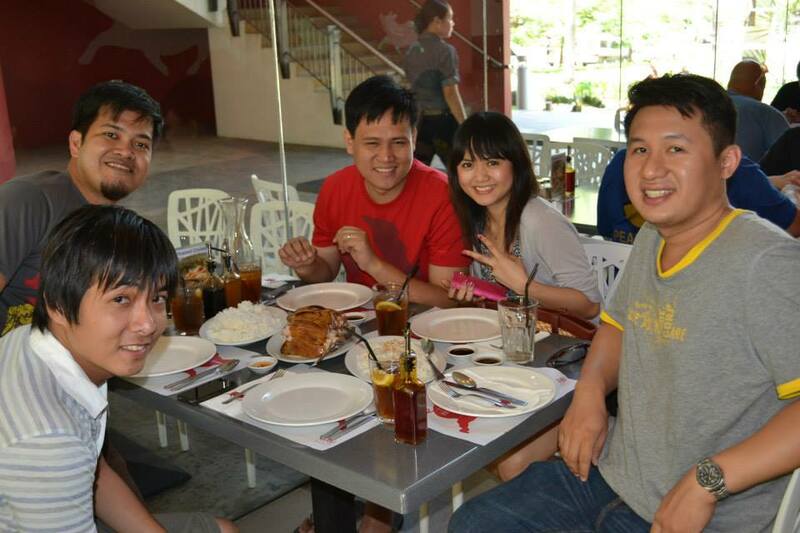 So we headed to Zubuchon at IT Park Cebu City Philippines for lunch. 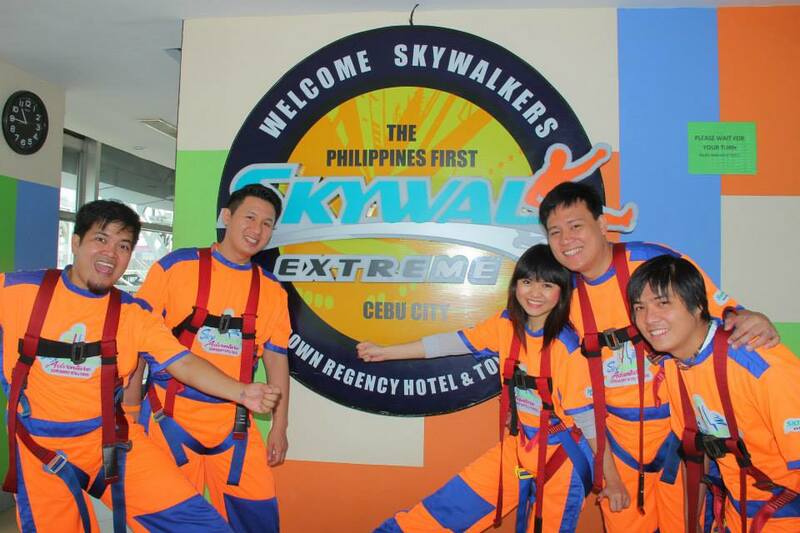 You can check out their site at http://www.skyexperienceadventure.com/ for inquiries. P.S. I'm not paid to do this. 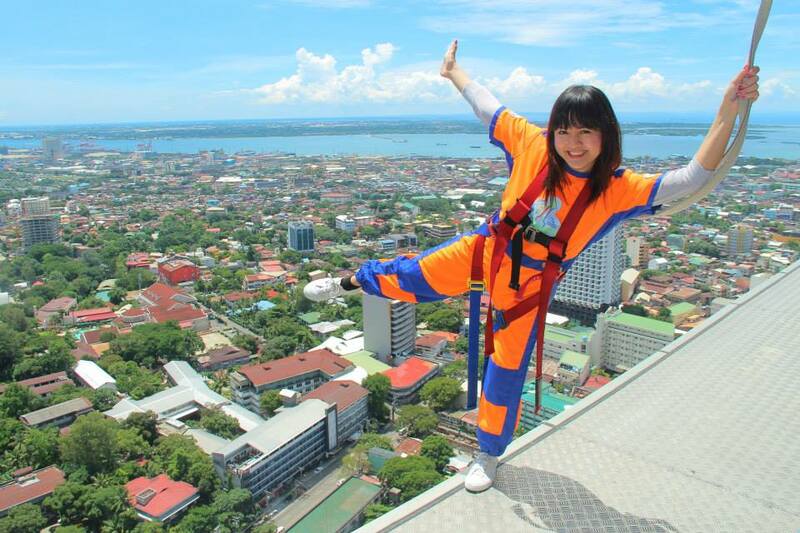 omg u r brave girl...im always scared of heights...btw u look so adorable here!